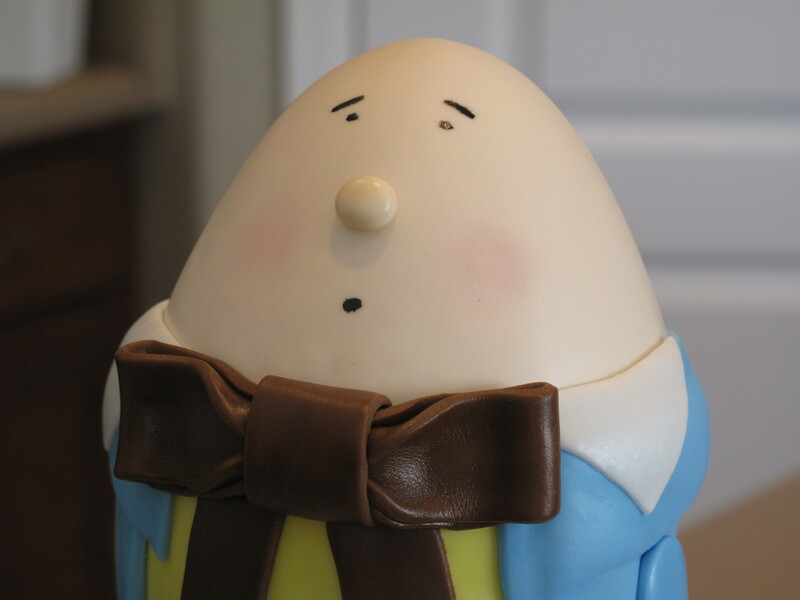 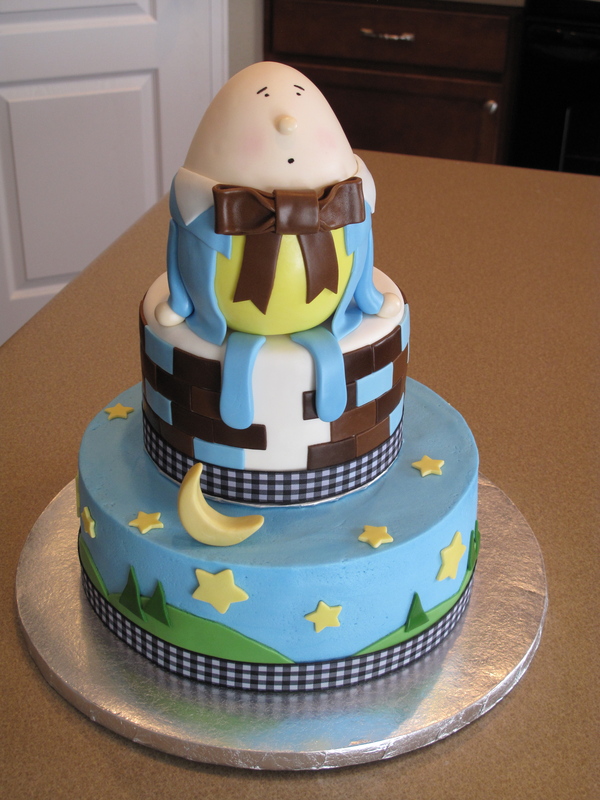 I was nervous about making this cake, I had never made anything like the big humpty dumpty before. 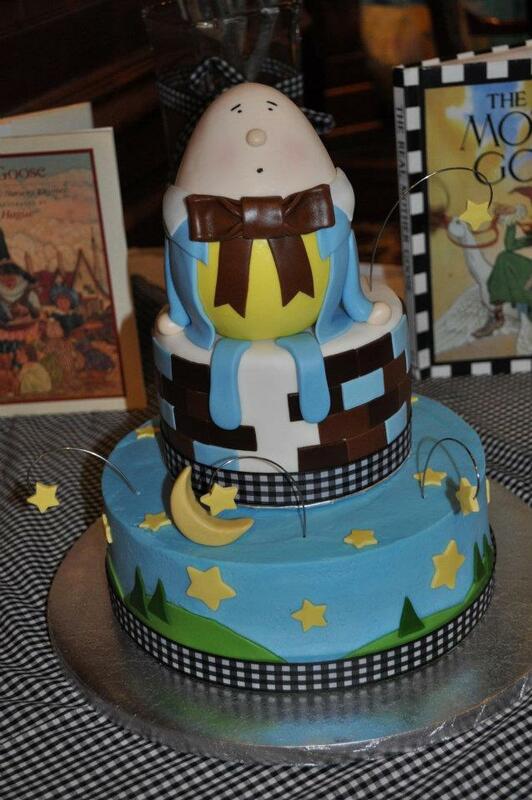 I was so happy with how it turned out though. 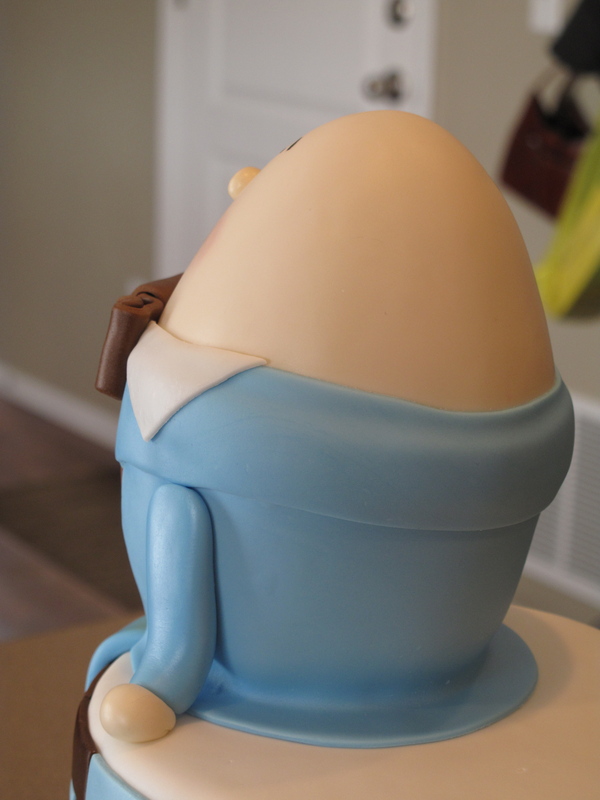 The fondant was being super cooperative and everything came out really smooth and clean cut. 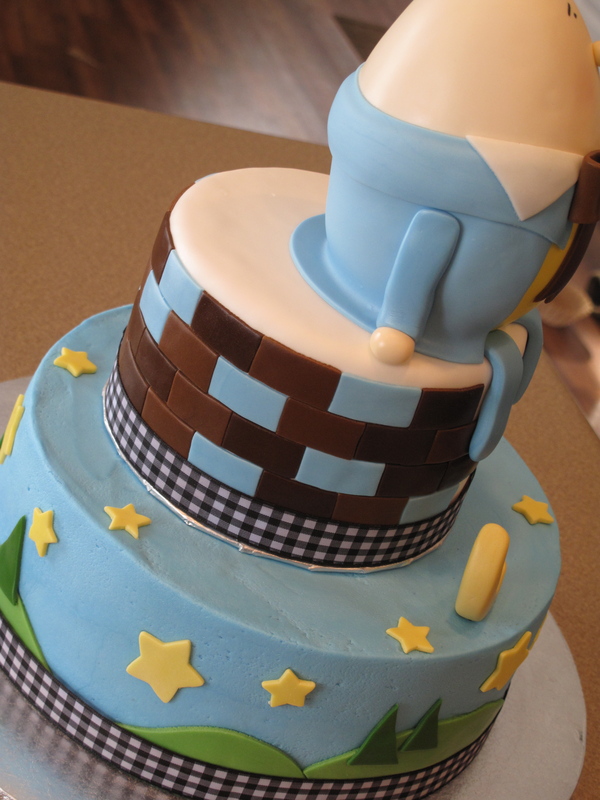 This cake is definitely one of my favorites.